Special note: Arrived in Budapest 2-3 days prior, amazing city and lots to enjoy!! Arrived in Budapest and met by a driver for Tauck in a black limousine-taken to the pre hotel booked through Tauck at the Le Meridian. At check in I was supplied with the times and location that a Tauck representative would be in the lobby of the hotel. Great central hotel and very comfortable. Leisure time for 2 days prior to cruise, recommended tours for the area: The Parliament buildings, Opera House, thermal and mineral springs and caves. 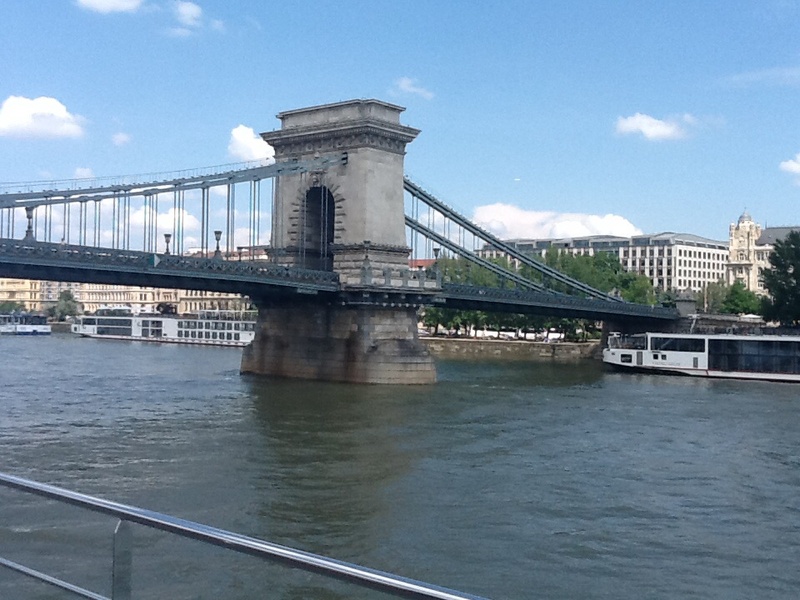 We walked the Pest side of the city and enjoyed many activities within close proximity to the hotel. Upon boarding the ship we were met by the ship staff with a hot wash cloth and asked to sit in the lobby (drinks were served) and wait for our names to be called to get our room keys…luggage was in the room and we were given a couple of hours to acquaint ourselves with the room and unpack. At 6:00pm we were all asked to go to the Main lounge for a social, where the Tour Directors did an introduction and covered the upcoming itinerary. Dinner was open seating starting at 6:30pm and social in the upstairs lounge followed dinner. Night activity – Tour Director Sarah gave a presentation entitled: Empress Elisabeth – Star of Hapsburg..a look at the misunderstood Princess – amazing story and found that by knowing information about the Hapsburgs that we followed their history up the river. Day 4 – Vienna, Austria..incredible UNESCO World Heritage Site, home to the Schonbrunn (the Hapsburgs summer palace) or the Hofburg (Winter Palace) both palaces are a choice to visit with the cruise. The Schonbrunn Palace is centrally located within the city, and the Schonbrunn is a short drive on a coach. You will visit the Hofburg Complex and Imperial Apartments as well Sisi Museum., stroll the amazing gardens and fountains and grab a souvenir at the shop, we boarded our coach and headed back to Vienna for free time. Meeting point was the Albertina and were given several times to meet the bus to head back to the ship. During free time I attended St. Stephans Cathedral, Leopold Museum and the Imperial and Belvedere Palace. 6:15pm Depart the ship for dinner at the elegant Palais Pailavicini, this was a formal event at the Palace, our seating was at a table of 8 with crystal and silver place settings. We were met by the Prince of the Palace who told the stories of his family and how the family still had possession of the Palace as of today and the long history his and the Tauck families have had for generations. During dinner the entertainment was a beautiful opera singer and a small orchestra that played medieval music. This night was amazing both where we were and the food…I will cherish this event for a life time. This was a full day with the morning in Durnstein, a beautiful charming village. The village is well known for apricots, they make everything imaginable from Apricots and several shops allowed tasters prior to purchase. There was also an option on this tour to hike up to the ruins of Kuenringerburg Castle where Richard the Lion was imprisoned. There are many local artist shops including jewelry made stones from the Danube. Bring euro’s with you as many of the shops did not accept credit cards. This town looked as though it was stuck in time-so beautifully preserved! Our local guides toured us around the village for an hour then we had some free time to explore. We returned to the ship for lunch then departed on our coach for a guided tour of the 900 year old Melk Abbey. We toured several private areas of the Abbey and were given extra time to explore the grounds and gardens on our own. The history of the Abbey was truly astonishing, the exhibits on display were breath taking!! A jeweled cross that was believed to have a wood chip from the original cross. This place left me breathless it was beautiful!! building that were toll booths. There are many shops and activities within the city centre, free time followed the tour. Nightly activities was a fun game “Majority Rules” we were split into teams and the tour directors were the majority, lots of laughter and prizes! 6:15am - Sailed across the continental divide, the highest point of the journey-aprrox 420 meters above sea level, this is where we entered the Hipolstein Lock the first on our journey to lower the ship by approx 75 feet. Arrival into Nuremberg had 2 options for tours-The Zepplin fields and Documentation Centre or downtown Nuremberg, we chose the WWII tour, we were met by a local guise that took us to the court house, fields and documentation centre. Walking though the fields and the centre was a very unnerving experience to witness the horror that people went through, to see the documentation centre, a coliseum that Hitler had built-left unfinished gave chills through my spin! After the tour we were taken into the town of Nuremberg and were given ample time with our ship directors to walk through the city and enjoy free time. Day 9 – Arrived in Bamburg, Germany, our coach tour met up with local guides for a walking tour through the town and through the Cathedral and residence perched high on the hill and the BurgstadtTauck had made prior arrangements for a taste testing at a local brewery to savor the tastes of “Lagniappe” a smoked flavor beer, this was also served with wieners and a bun. Lots of free time to explore the city and met up with our guides to return to the ship. Evening entertainment- the crew performed which was funny and pleasing to watch, you get to know everyone and it was great to see them relax and have fun! Earlier on the ship Radu-one of the tour directors gave a lecture on Art and Architecture 101.5 (you will know the .5 can only come from a character like Radu!!) he is hilarious and very knowledgeable!! The morning entertainment was a special glass blowing presentation, he also had plenty of items for purchase. Our tour today with a local guide was to the “Residenz” This tour offered a tour of the Prince Bishops residence and amazing Baroque architecture. The Franconia region is known for its white wines from the Silvaner grapes, they do not export any of the wines as the locals consume what is made. We had an amazing private tour to the cellars of the Hofkellar-called the Prince Bishops Court Cellar, barrels of wine dating back centuries. Table were set up in the dim lit cellar and we had wine taste testing with a local guide. We also learned that our previous premier Ralph Kline had family in the region and that he would frequent the area. You were able to purchase wine after the tour, as well, dinner on the ship that night offered the wine from this region. Met local guides for a tour to St. Jacobs Church and the Tilman Reimanschneider altar, the option was to go through the town on your own or stay on the ship. This “fairy tale town” was amazing, there were different areas that local were playing a flute or different instruments. This day Tauck also bought each person lunch by giving each person 20 Euro’s. There are stories of the mayor of the town drinking gallons of beer to save the town. The famed Christmas store is located here with all the famed music boxes and coco clocks. Some people from my group took bikes and opted not to go to Rothenburg, Tauck made a lunch for them and we met up with them further down the river We had plenty of free time after out tour for lunch and explore the gated wall that is the entrance to the city. This morning, we had a champagne toast and commentary as we entered the Middle Rhine. Castle after castle and vineyards, was beautiful!! The top deck was open to get the best views! Our walking tour with a local guide started with the Cologne Cathedral a UNESCO world heritage site (the Cathedral was started in 1249!!! ), we later toured the Roman Germanic museum with artifacts dating back to the Romans, a site was uncovered while building the museum-which is still intact and the museum was built around the ruins….amazing! Cologne was devastated by WWII, but allot of original buildings have been either rebuilt to resemble their original glory or restored. After our tour, Tauck made arrangements at a local bar to enjoy local beers and treats, we had ample time to explore the town on our own. Later that night, Captains Farewell Dinner and a performance by La Strada in the main lounge. Local guides took us through the Rijksmuseum, which was recently reopened after renovations for 10 years. Our guide gave us “his opinion” on the art works of some famous pieces of art, after the museum tour we boarded a canal cruise for commentary through the canals and lunch, the afternoon was leisure time. Dinner on the ship was served as usual with options in the dining room or Main Lounge with a varied menu. Day 15 – Luggage was left in the room and we were asked to sit in the main lounge area until our name was called, we were given instructions the night before to make is a streamlined process. We were off the ship by 9:30 and taken to our hotel – The Convent located in Dam square. While in Amsterdam, we took in all the local sites. As well, took a train to a beach community (no problem) and were able to view the countryside and wind mills that are still used today in land reclamation. My trip was AMAZING!! Tauck was incredible, the ship food was authentic to the regions, great variety of choice, comfortable sleeping, ample room, my husband who has never been on a ship…loved that your hotel “followed you down the river”. The exclusive entry to events supplied by Tauck made you feel as though you were very special! I loved every part of this journey and would do it all over again! The little things-each day the staff of the ship when we returned from a tour met us with a big smile…a wet cloth (hot or cold depending on the temperature) a drink usually a punch and a Mozart chocolate. Each tour – Water closet charges were included, always local English speaking guides. If they did not have a certain alcohol to mix a drink that you wanted, they would get it at the next port. If you wanted to organize the bikes for a tour they would accommodate with a picnic lunch. Never felt lost or alone, they gave you enough freedom to wander on your own. Special sweet treats from each region, either at lunch or dinner. Provided commentary through areas and regions on the ship if it was an area of interest. Always served wines from the region we were in and adjust menus to reflect different area cuisine. 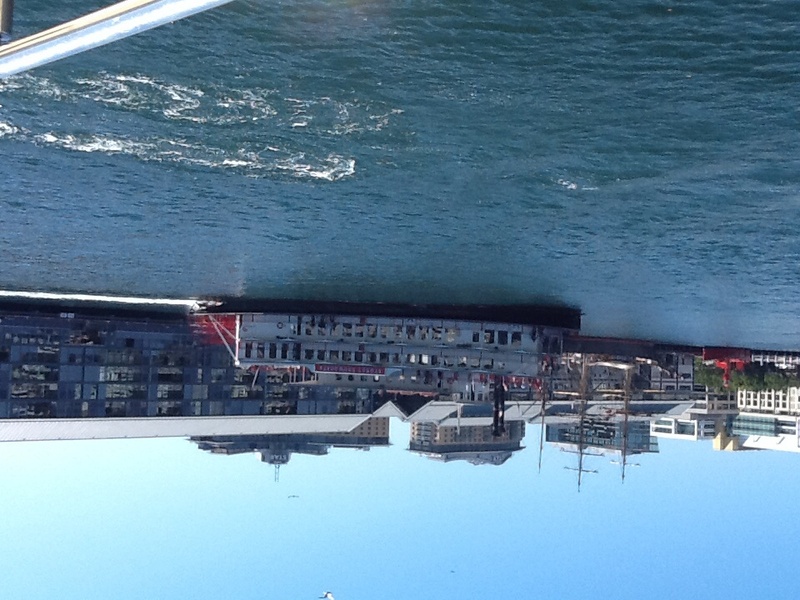 Always there to help in anyway-extremely friendly: both the ship and Tauck staff!